View topic - Daou Infosys at Winter CES 1992 - Forums - SMS Power! "List of games (and some peripherals) shown at the Winter '92 CES. From the April 1992 issue of Micom BASIC Magazine." "they were showing off a lot of pirated Master System multicarts containing games such as Knightmare, Galaga, and Mr. Do vs. Unicorns, as well as their pirate originals." 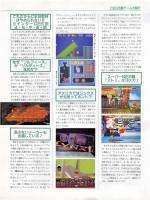 The Japanese text also mention Super Boy I/II/III and Doctor Hello.